Ruby on Rails helps you produce high-quality, beautiful-looking web applications quickly---you concentrate on creating the application, and Rails takes care of the details. Rails 5.1 brings many improvements, and this edition is updated to cover the new features and changes in best practices. All you need is a Windows, Mac OS X, or Linux machine to do development on. 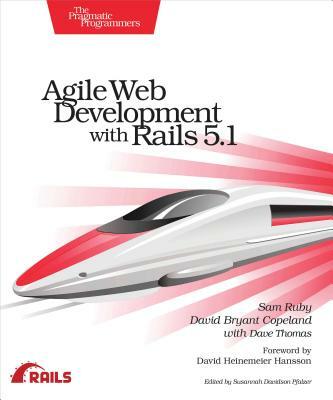 This book will take you through the steps to install Rails and its dependencies. If you aren't familiar with the Ruby programming language, this book contains a chapter that covers the basics necessary to understand the material in the book.